There is a new type of business model eating the world, and you know it as the Platform. The famous examples include Uber, Airbnb, Google, and Facebook, but there are many more. Platform, or ecosystem, business models put the company at the center of a self-managed network of producers and consumers. Platforms take advantage of two market effects with dramatic results: Moore’s law, which explains the exponential growth of computing power, and Metcalfe’s law, which describes the exponential growth potential of communication networks. These market-beating firms use digital platforms to connect networks of users, and grow at near-zero marginal cost, bringing disruption to every industry. Proof points are everywhere: seven of the ten most valuable companies globally and 70% of the billion dollar ‘unicorn’ start-ups are all platform companies. Thus far, platform startups have been walloping legacy firms, taking both customers and investor dollars. It remains to be seen if traditional incumbent organizations will be able to fight back and integrate platforms and networks into their own business models. Unfortunately, there is a third, more profound, “law” that stands in the way: Parkinson’s Law of Triviality. It states “at any board meeting the amount of time devoted to an item on the agenda will be in inverse proportion to the difficulty of the issue.” C. Northcote Parkinson was a British humourist who articulated back in the 1950s a simple human truth that change is difficult and most people would prefer to avoid it and continue doing what they know best and is easiest. Digital optimization improves efficiency and effectiveness of a current business model. Since the current business models of most incumbent organizations are not generating the returns they used to, digital optimization creates incremental improvement, but does not allow companies to compete with platform disruptors. Business model transformation is about boldly and dynamically changing the way capital is allocated and deployed by the organization, to generate better returns. By “capital,” we mean not just money, but also talent, ideas, things and relationships. Research shows that platform and network based business models generate better growth, profit, and value. Still most companies barely re-allocate capital year to year, continuing to support the same business activities in the same proportion. Yet they are surprised when their results don’t change. 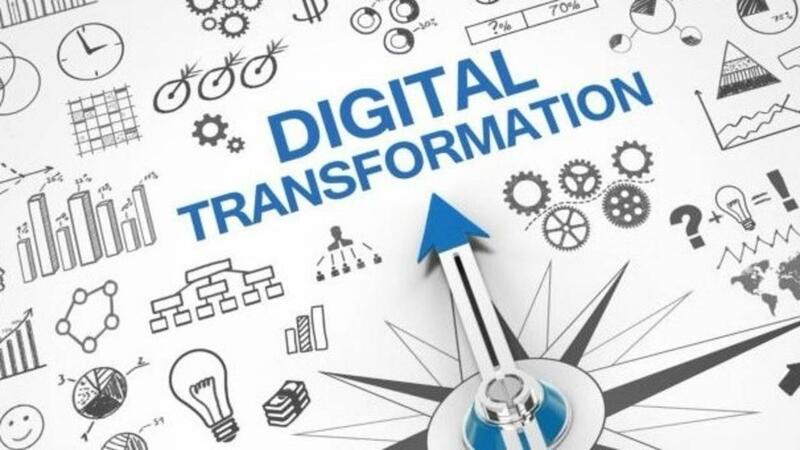 We hear many organizations around the world talking about digital transformation, but their hearts, heads and pocket books are focused on digital optimization instead. The clearest differentiator that helps define the two different approaches is capital re-allocation, supported by a new set of metrics and core skills. To “platformify” is to change not just how an organization does something (optimization) but also what it does (transformation). First: Create a new mental model of how to grow and create value in a digital world, at the board and executive level. Today’s platform and network organizations have grown fast and at low marginal cost by not trying to do everything themselves to serve customers. They harness other people’s inventiveness, investments, and entrepreneurialism to create new value for a market, using digital platforms to orchestrate networks of producers and consumers in new ways. A deep understanding of the economics and management of platform and network based businesses is critical if you want to successfully adopt these practices. Second: Understand where and how you can, in practice, integrate platform based business models in your operations. Every business has valuable assets and capabilities – customers, data, brands, technologies, processes, and knowledge – that can be packaged up and made available via a platform for others to leverage. The task is to work out how to serve them up to a network in valuable ways, and to allow the network to contribute value as well. Every business has the potential to transform into a platform company, but it’s critical to define where to start, to test and learn, and how to expand. Third: Apply new metrics to your business. The primary aim of successful platform-powered companies is to generate “network effects.” This means that their platform gets more and more useful the more parties who use it, i.e. value increases for all participants as the size of the network grows, which in turn attracts more people to it. Relevant KPIs include measures of user engagement (the amount of time producers and consumers spend interacting and transacting on the platform) and shared value creation (not just value to the firm). No incumbent business today has metrics like this – they are all focused on cash coming in. Understanding the new metrics of the digital economy and how to apply them is critical for all businesses today. Schibsted in Norway is a 100 year old print media company that decided six years ago that it needed to rapidly transform into a digital business. But rather than just invest in an online version of the same advertising-funded business model it pioneered the creation of online classified marketplaces. It now not only serves niche communities in Scandinavia, but has exploited its expertise with investments in South America and Asia. It now makes 80% of its operating profit from a platform-based business model and has more than doubled its price/revenue ratio over the last five years. Kloeckner, a steel distribution company in Germany, has embarked on a bold strategy of creating a digital trading platform for itself and third parties, including competitors, with the aim of facilitating greater efficiency and innovation for all players in the market. Japanese telco Softbank, which owns Sprint in the US as well as running Yahoo and e-commerce operations in Japan, has been even more maverick in thinking beyond traditional sector borders. It has not only made early investments in platforms like Didi, Flipkart and Uber, but also acquired ARM, the chip designer, which itself operates a network orchestration business model and recently created a $93bn fund to invest into more platform businesses. The investment community originally didn’t know how to rate this unusual strategy for a ‘telco’, but has since caught up and rewarded Softbank with a rising share price. Naspers became Africa’s most valuable company by morphing fifteen years ago from an Afrikaner publishing house into a business focused on platforms and network orchestration, looking beyond the traditional borders of both sector and geography. Its online classified businesses now have 330m monthly users across 40 countries. But it struck pure gold when it invested $32m in a little-known Chinese network orchestrator called Tencent. Its foresight into the exponential potential of this business model has translated into a stake now worth $130bn (a 4000x return, and counting). Companies large and small can platformify and leverage Moore and Metcalfe’s laws, but they must fight determinedly against the pull of Parkinson’s Law. The ease of keeping capital allocation the same year after year and making only minor adjustments to operations is incredibly attractive, even to innovative leaders. Large incumbent organizations must fight the pull of inertia if they wish to re-create a business model fit for the future.